Dealing with Arron James as a landlord has been an absolute pleasure! Each member of the letting and property management team are always very helpful and responsive. Couldn’t recommend them enough! Had the misfortune to interact with this estate agents. Compared to their local peers, I found them to be unprofessional, poor communicators, unable to live up to their promises and in the end just downright rude and arrogant (I'm talking about the chap who's pictured on the right). Won't be using again and certainly will not be recommending them. I had so much support from staff at Broads that I was so pleased I had put my property for sale with them. I highly recommend them to anyone thinking of selling their flats/houses as they will not get a better service from any other estate agent. I tried to sell my property through Broads and ever since I had listed the same ,havent even had an email or a phone call of the progress, very poor communication, very unsatisfied with their service & turn around time. My wife and I met Darrell at a property in Walton-on-Thames yesterday and I just want to say what a fantastic job he did. We have looked at quite a few other properties with other companies and the level of professionalism and knowledge was unmatched. It's not often I have time to write positive reviews like this but it was a breath of fresh air to have a sales representative have full knowledge and understanding of the property. We were actually recommended to work with your company so you must be doing something right. After listing a property with Martin Flashman, who had tied me into a 6-MONTH contract, I found it to be a very disappointing service. After 2-months on the market they got me an offer of £200k. I told them that was so insulting that it didn't deserve a reply, and when I spoke to Martin Flashman to ask why they would encourage such a low offer, his reply was that I can go and list it with someone else if I want to, but he has a 6-month contract and if I sell it through someone else, I'll be paying 2 estate agents fees. I waited for that contract to expire before I sold the house in Feb, 2010 through Gascoigne & Pees and they found me a buyer who met the full asking price of £250k within 2-weeks! I had bought through Martin Flashman before and I generally value the idea of dealing with small businesses because I appreciate being able to speak directly to the boss. However, these are not the sort of folks I'd advise selling through, not if you want either a fair price, or a timely transaction. I can only speak for myself, but I will never sell through MF again, and I can't say I found Mr Flashman to be the sort of person I'd want to be dealing with ever again. We have enjoyed a friendly, professional and responsive service from start to finish with Will, Tom and the team at Gregory Brown's Staines branch. We, in the end, had a number of complicating factors to throw at them (!) - not least of which was our tight deadline owing to a new job start date far outside the area - but nothing fazed them and they have been very supportive and pro-active in ensuring that our sale progressed as quickly as possible, regularly chasing solicitors on our behalf and pursuing matters to enable us to make important decisions about how to proceed when we found ourselves in the position of having to withdraw from our purchase just 2-3 weeks before Christmas. We would gladly recommend their honest, straight-talking approach and effective sales strategy to anyone looking to sell their property. Appalling management of property, had several tenants over the years but each time the agent never pursued damage or cleaning of property - terrible service, do not recommend, find a tend by yourself and don't pay them the money as you are flushing it down the drain. They don't take tenants to arbitration and they don't withhold deposit for damage/cleaning. Graham provided excellent advice for our mortgage, I went with graham for mortgage advice back in 2015, and decided to come back in 2019 for another purchase. Even though Graham is quite far away from where we live we will keep coming back! He always took the time to explain things properly to us and we didn't feel embarrassed to ask questions. If you want professional advice from someone with lots of experience along with a friendly, non-judgmental approach, Grahams the one. I originally used Roberts Hunt to advise and arrange my first mortgage, 5 years later and I have used them multiple times and recommended to friends and family. A really great service, Graham and the team are always on hand to provide advice and a helping hand. I cannot recommend highly enough. thanks Graham! 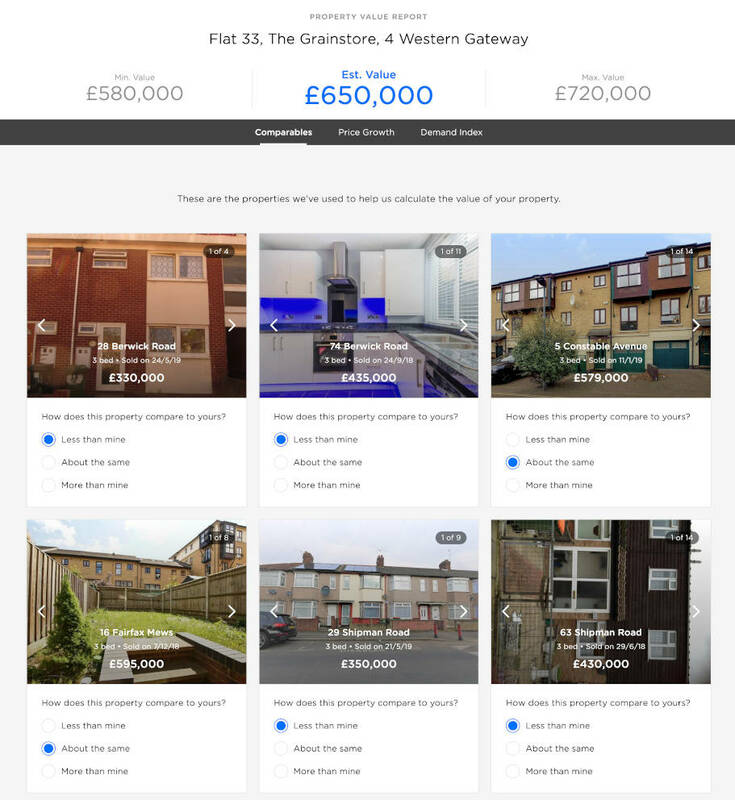 We’ve helped 5996 people find the best agent in West London! Our clever technology recommends the best agents in West London.